I love designing stitching accessories and have made dozens of pincushions, needle-cases and scissor-keeps - so many that in the last year I decided to have a bit of a moratorium on them! But, when I wasn't looking, somehow two needle-cases recently popped into existence! 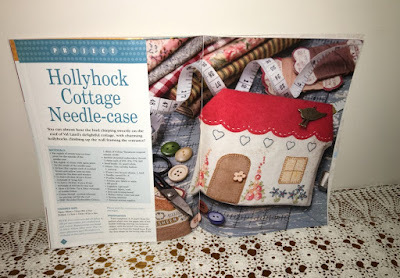 It has now been published in Country Threads magazine Vol 17 Issue 9. 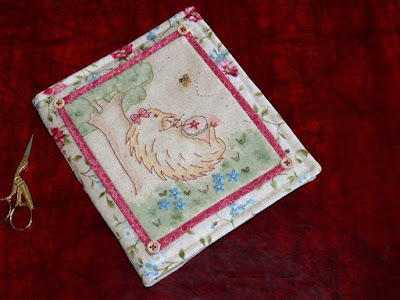 If you're in the south-east Queensland area, I will be teaching this project at the Creative Craft Retreat in October. 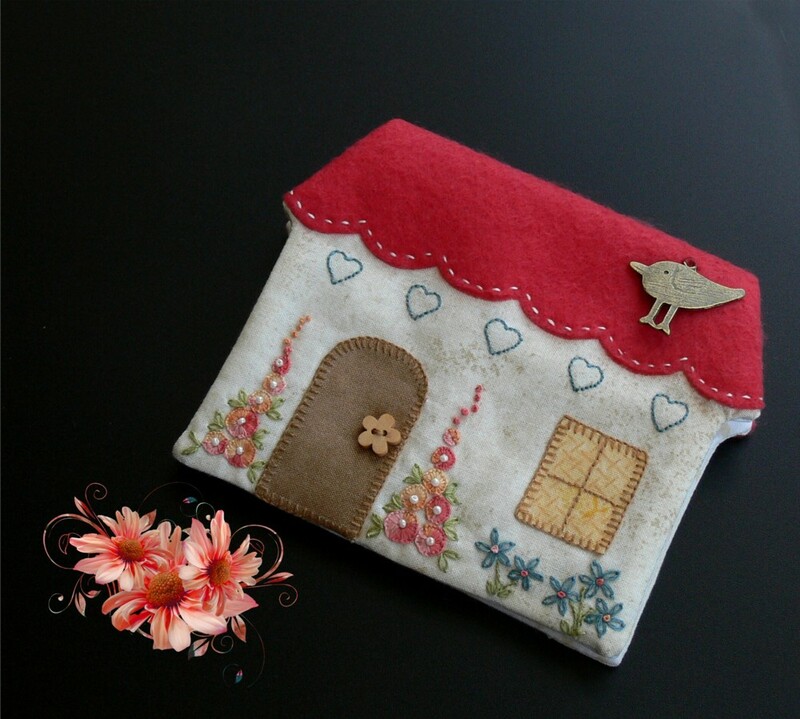 The cottage can be made into a needle-case, tissue holder or card wallet. The pattern is now available for purchase in my Craftsy Store. With the slightest hint of warmer weather, my body said it was time to start spring-cleaning! I was appalled recently when I had a good look in my kitchen drawers and saw all the accumulated dust and dirt. Thirteen drawers later, and I had cleaned, thrown out, tidied, repurposed a box to contain all those loose coasters, and generally had everything organised beautifully. Then I opened the door of our walk-in pantry - you guessed it, out with everything and a big cleanup. I found this beautiful wooden bowl with inset mother-of-pearl which I bought on a visit to the Solomon Islands many years ago. It was stashed on the top shelf right at the back and I had to get the step ladder to reach it. They're only imitation flowers in it, but that bowl definitely needed to be out on show and to have its moment of glory again. Having done all that cleaning, I couldn't leave the rest of the kitchen cupboards so they all had a spruce up too! Then I began to see dirt everywhere - don't know how I couldn't see it before!!! When you're on a roll, you go with the flow, so I am very happy to say that the whole of our large house got a good going over - all except my husband's study. After 50 years of marriage, you know that you just don't move anything in there! Your last comment made me smile. What a cleaning dervish you have been! 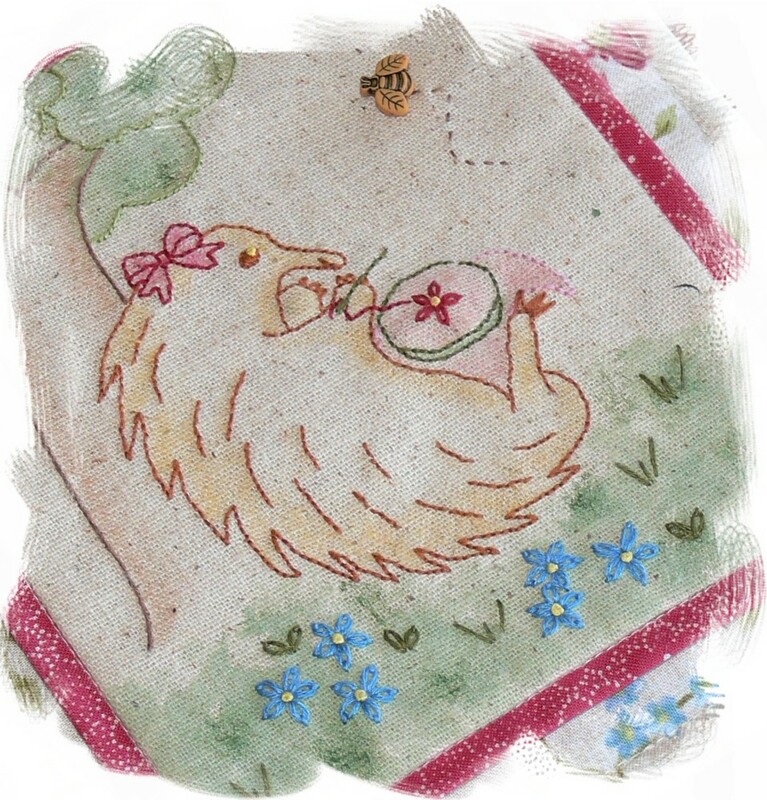 I love your stitching echidna. 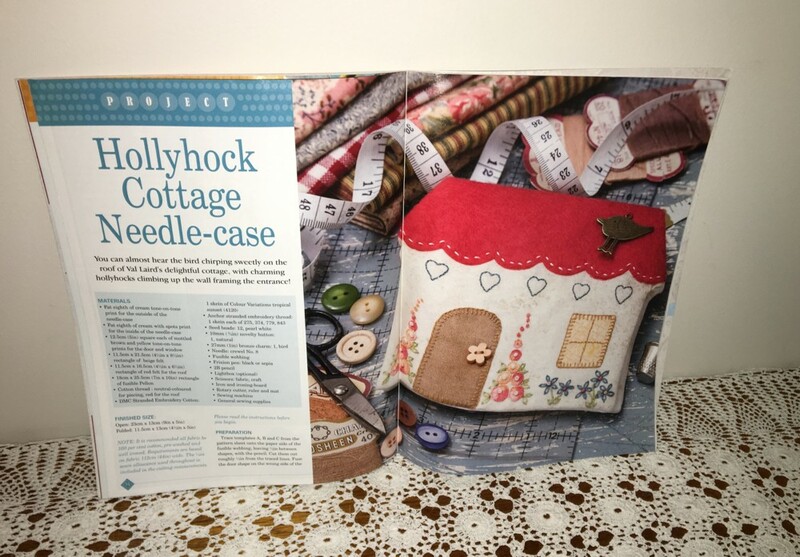 Wonderful needlecases. Ah yes, when you're on a good thing, stick to it! I have found myself with occasional bursts of energy like that, and even if I am exhausted at the end of all the tidying and cleaning, it feels SO good to know that it should not need doing again for at least a year! 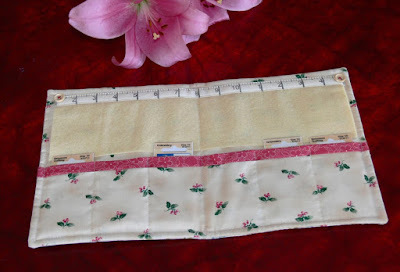 If I didn't already have a needle case like yours, I would make this one! But I found one at our Guild's gift shop a few years ago, and like you, thought it was a great idea to keep the various needles in their original packs so they are easy to find.